Are you ready for the Kentucky Derby tomorrow? If you're having a Derby Day party, you'll need the perfect mint julep recipe. Here's my tried and true recipe. Newbies should be aware that this drink has quite a kick to it and is not necessarily for the faint of heart. Combine sugar, lemon juice, and mint leaves in a pitcher. Crush well with a wooden spoon. Add ice and bourbon, and mix well. Garnish with mint and lemons in the pitcher. Depending on who you ask, some aficionados will insist that the mint leaves should not be crushed. I like to taste the mint in the drink as opposed to merely having a mint scent. I say, crush away! 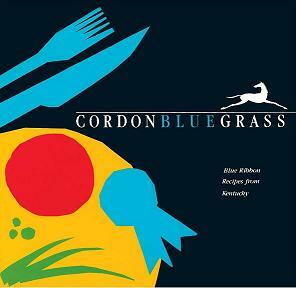 Cordon Bluegrass, from the Junior League of Louisville, is a fabulous resource for Kentucky Derby recipes. This collection is quite rare and was out of print for some time. Luckily, you can now purchase Cordon Bluegrass! My favorite recipe is the asparagus parmesan. Asparagus is in season now and would be delicious at any party! Pick some up from your favorite local farm to try. 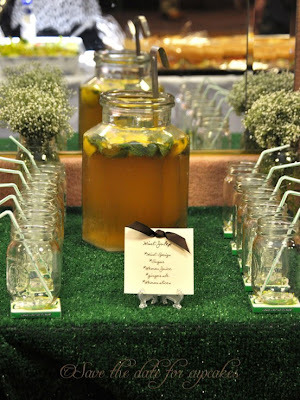 Are you attending a Derby Day party tomorrow? This post is making me THIRSTY!!! I love the sound of that cookbook, I'll have to pick up a copy!!! I think the cookbook will be a "gift" to my fiance this year! I use gift loosely as I will be the one using it to cook for him. 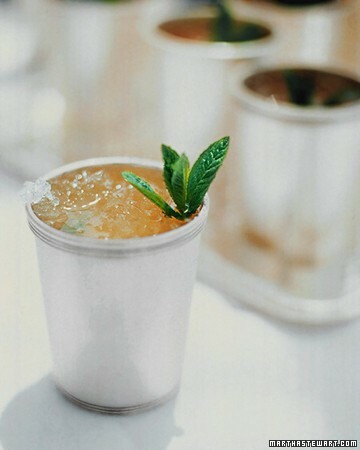 We are doing engagement pictures today and mint juleps (since it IS derby day!) will be used as props. :) Thanks for the recipe, I was searching last minute this morning.